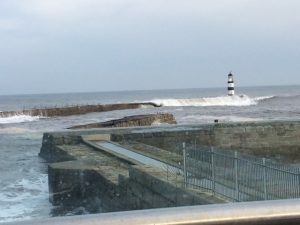 A recent success for Sentry Boats was a contract awarded by Durham County Council for the rejuvenation of Seaham’s North Pier. 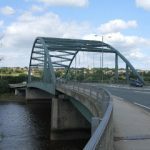 This project was a partnership between the Environment Agency, Durham County Council, Carillion and Sentry Boats. 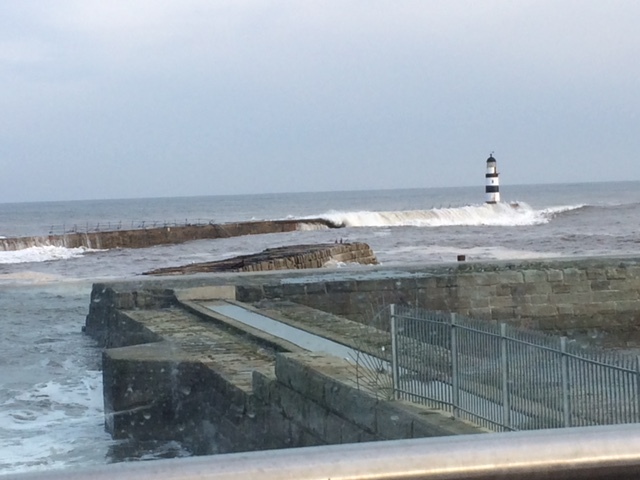 A two year, £3.4 million project on Seaham’s historic North Pier aimed at protecting the town from flooding and the risk of erosion has now been completed. 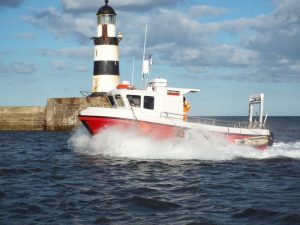 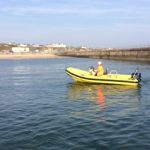 Sentry Boats remit was to provide a 10 metre hard boat and a 5.8 metre fast response RIB. 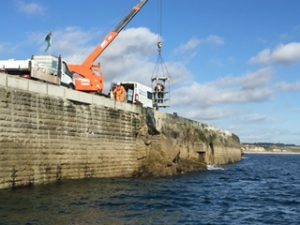 Operations were central to the harbour and direct communication to pier staff and management via VHF radio. 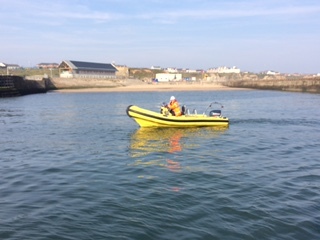 All staff were issued with floatation devices and emergency response equipment. 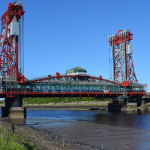 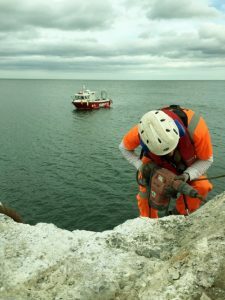 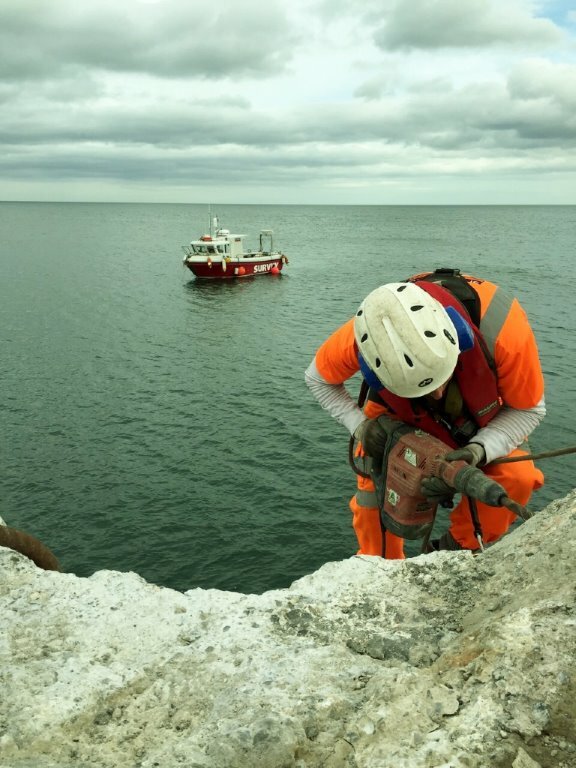 Although initially this project was seen to be straightforward, whilst only working during summer months, the typical north east weather created extreme working conditions increasing the risks and requirement for a safety boat.